Patty Koskovich first founded her company in 1990 as Interior Selections after receiving a degree to practice the “art of interior design.” While researching courses for her graduating daughter to take at a local college she became interested in their Interior Design Program and took the courses herself launching her second career. It came naturally, even as a young girl she was rearranging furniture, organizing, painting cabinets and restyling furniture pieces. Now Patty shares her talent with you by asking questions and listening to your “wish list” of needs and wants to help you bring your vision to life. Koskovich Design Group was the new name chosen to represent her many affiliate resources. 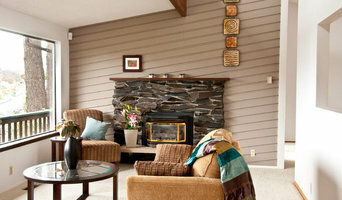 KDG is a full service interior design company providing residential and light commercial services. Patty has been helping clients enjoy comfortable, gracious homes to be lived in for the past 20 years. She works with clients who are ready to move ahead on their projects but don't know how to proceed. She is easy to work with and listens to your needs. At Stephen Marshall Design, our passion and primary goal is to partner with our clients to create results that are deeply satisfying. When we enter into a project together, we enter into a relationship. Our first goal is to listen to our clients and truly understand what they want. We take them through a guided conversation to discover what is most important to them. Once we understand that, we merge our clients’ desires with our design expertise, our understanding of aesthetics, and our knowledge of what makes space successful to create design options they often never thought possible. Stephen Marshall Design specializes in residential, sacred space, and commercial interior and architectural design. With decades of combined experience, our small team of designers is comfortable working with both individuals and committee-led projects. We would love to work with you to bring your design dreams to life. Spiral Studios is an interior design firm committed to helping clients live holistically by sourcing non-toxic, recycled, locally produced materials and goods. Intentional and authentic design strategies are utilized to create healthy and happy spaces that honor and nourish the users, the aesthetic, and the environment. To think beyond conventional building practices, combining ancient wisdom and modern technology. The worksite ethos refers to: pride in craftsmanship, economy of motion, respect for the land, efficient use of materials, minimizing waste, avoiding toxic substances, locally sourcing materials and manpower, and above all, being mindful of our privilege and honour to be here. 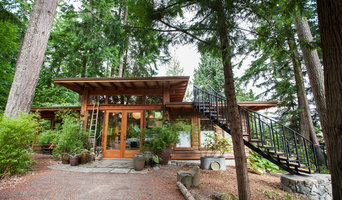 Benefiting from over 30 years of architectural practice, North Sound Architecture provides designs that are thoughtful, sustainable and distinctive - individually crafted to compliment your lifestyle and drawing inspiration from your building site and the singular natural beauty of the Northern Puget Sound. We offer complimentary consultations to all prospective clients, providing conceptual schemes and design options to consider before making any commitment. Steven Riley has created innovative, attractive, yet practical custom home, cottage and renovation/addition designs for North America, Asia and Europe for over thirty years. A recipent of numerous design awards from consumer and professional audiences, Steve's homes offer creative solutions that meet his client's lifestyle needs. I like to be in beautiful places, but more than that I love to make spaces beautiful. I appreciate working with people who want to have a fabulous home but need help to reach this goal. I studied Interior Design at BCIT and am constantly sharpening my skills in space planning, kitchen and bathroom design, material selection to make your home unique, personal and functional at the same time. This is a real pleasure for me because of my passion to art, architecture and design. Led by three partners of diverse talent and backgrounds, Zervas Architects is Bellingham's oldest and largest architectural design firm, established by James E. Zervas in 1961. The partners - Terry Brown, Sharon Robinson, and Andrew Krzysiek - share a commitment to meaningful design, community enrichment and technical excellence, values that are expressed in the firm's diverse portfolio of award-winning residential and commercial projects. The firm's sustainable design practice is a natural extension of its modern organic roots, a legacy of Jim's apprenticeship to Frank Lloyd Wright. As design leaders in a rapidly growing region, Zervas Architects advocates urban concentration where infrastructure exists, planning that preserves our natural resources, and design that adds to the community experience as the best way to achieve responsible and inspiring growth. Mercedes Interiors creates distinguished, warm and beautiful spaces with a touch of European flair that suits each of our clients personality. Style, elegance and class never go out of fashion. They are timeless. You can taste their quality. This is how your home and workplace should feel: a space that embodies you at your finest. This is the standard, not the exception. We’ll hold you to that ideal and demand you do the same with us. 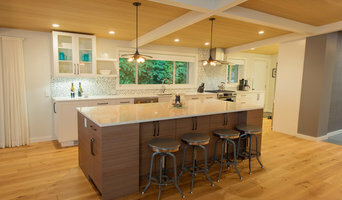 Provetto Solutions Inc. is one of Vancouver’s most reputable full service, and fully-licensed construction companies servicing Metro Vancouver, the Fraser Valley and the Island communities. Providing outstanding craftsmanship and exceptional service in both residential and commercial construction, our commitment is to ensuring our services meet the needs of our customers in a professional, time and budget controlled manner. Changing the world, one echo-friendly dream home at a time - Touch Architecture is a collaborative, friendly, and team-oriented firm, who will help you bring your ideas to fruition. 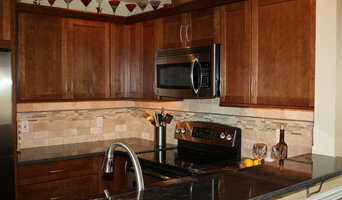 Visit our website for before and after photos of recent projects. Please contact Lisa Fletcher at (303) 579-5253 for all of your new construction or remodeling projects - we're happy to help. Jody has over 20 years experience with Pacific Northwest architecture firms and as the owner of Kennedy Interior Design (formerly Biermann Kennedy Design). Jody can work independently or team with Architects, Developers and Contractors to coordinate and develop your unique design environment. She is committed to providing creative solutions while maintaining a clear focus on fulfilling your aesthetic, functional and financial requirements. Her work includes space planning, lighting, cabinetry and finish specifications for new construction or major remodel of residential, multi-family, commercial and tenant improvement projects. Large project? Jody has collaborated with other Designers to build the design team to create the energy and personnel strength to focus and accomplish the needs and schedule of her clients.